Australian governments are increasingly living beyond their means. They are going to need to make tough choices to balance their budgets. But which choices will really make a difference? Should we broaden the GST? Raise the age pension age? Get rid of superannuation concessions? How much would these save, and what might the consequences be? With the Commonwealth budget looming, and the Commission of Audit due to report soon, these questions are more pressing than ever. This Forward Thinking event will provide a sneak preview of Grattan’s upcoming report on the state of our budgets, and discuss what can be done to repair them. Jessica Irvine is National Economics Editor of News Corp Australia’s metropolitan daily newspapers, including The Daily Telegraph, The Herald Sun, The Courier Mail and The Adelaide Advertiser. Before that she was economics writer for The Sydney Morning Herald, including a two-year stint in the federal Press Gallery in Canberra. She has an honours degree in Economics (Social Sciences). She is a regular commentator on TV and radio and author of two books: “Zombies, bananas and why there are no economists in heaven: The economics of real life” and “The Bottom Line Diet” released in January this year. 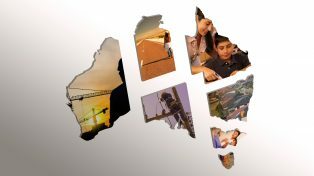 Forward Thinking is a joint initiative of the State Library of New South Wales and Grattan Institute to provide a public interest series on key policy themes. These free public seminars will offer lively, intelligent and thoughtful debate.